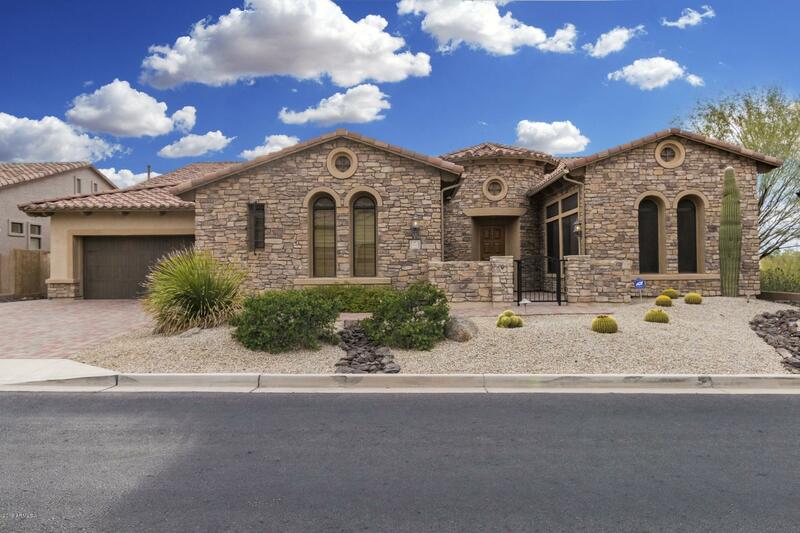 Fantastic opportunity to own this desirable Residence 7 floor plan in AWARD WINNING Las Sendas community! 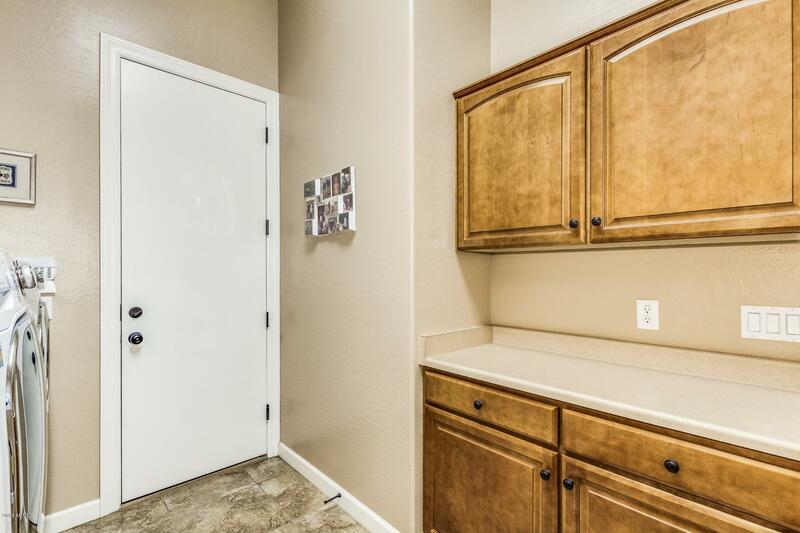 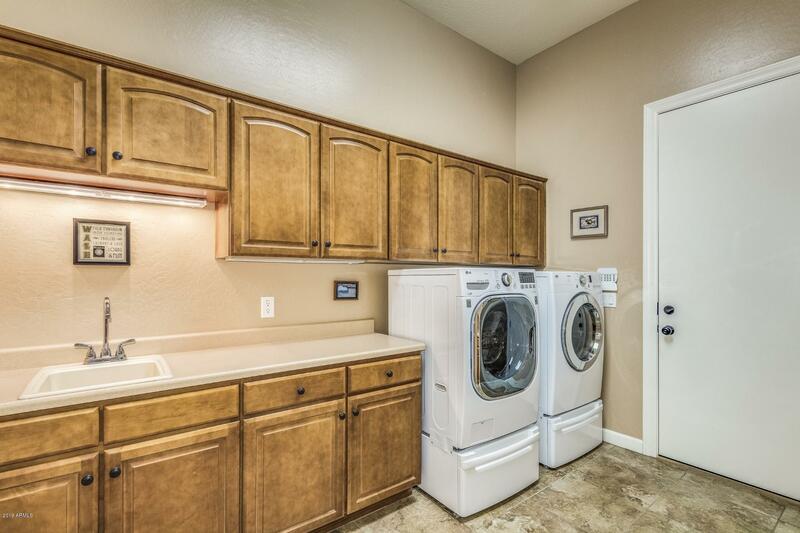 Excellent condition & Located on PRIVATE LOT adjacent to wash & no neighbors behind. 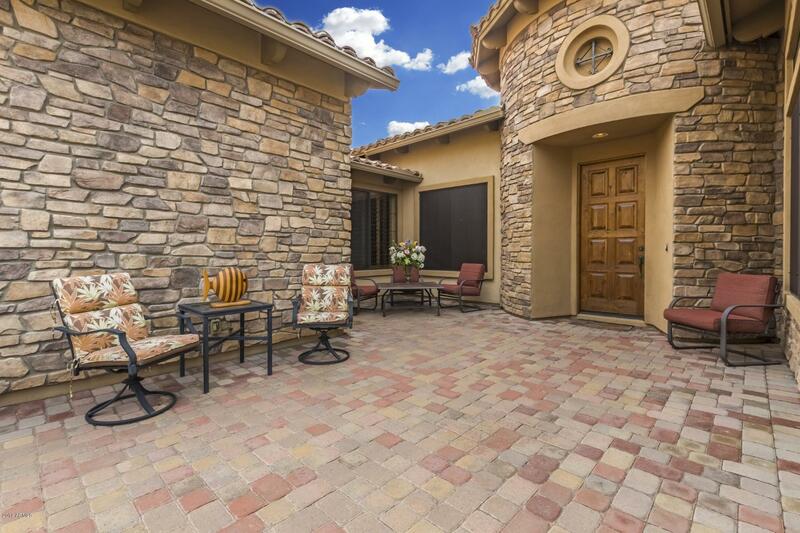 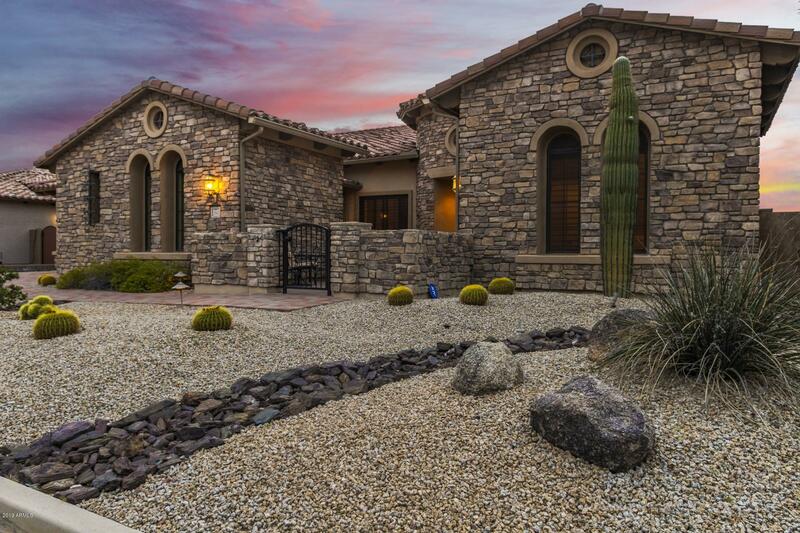 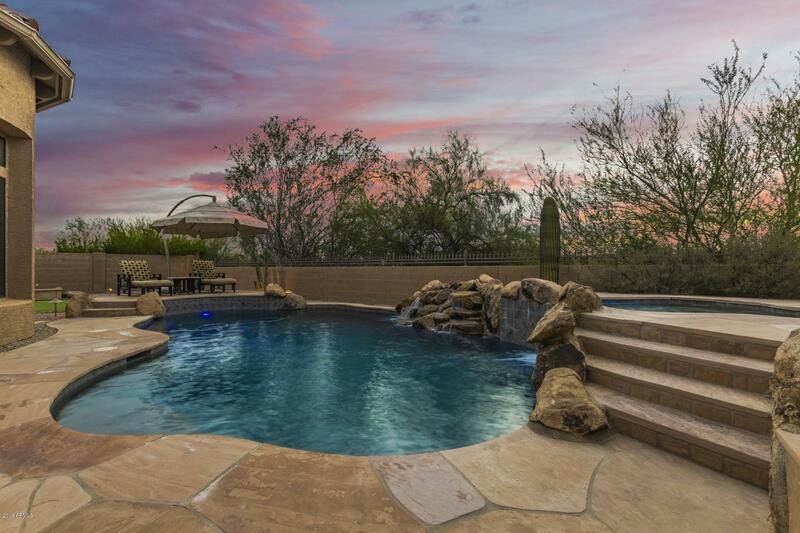 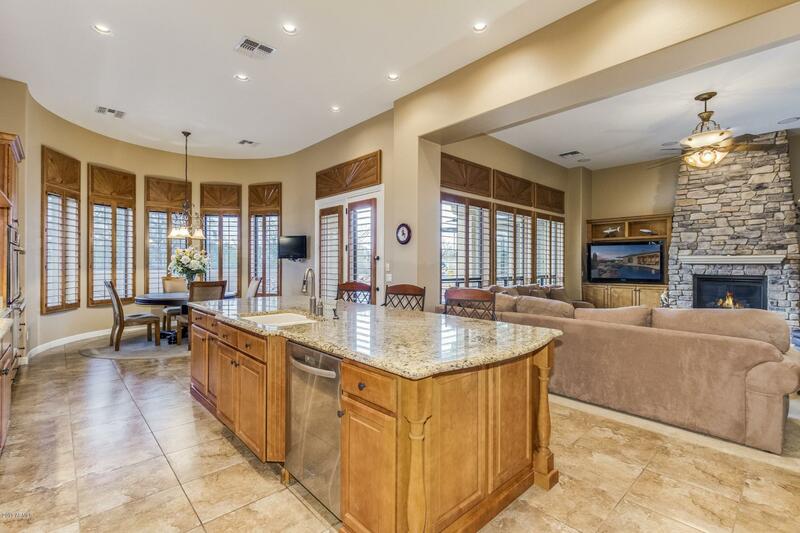 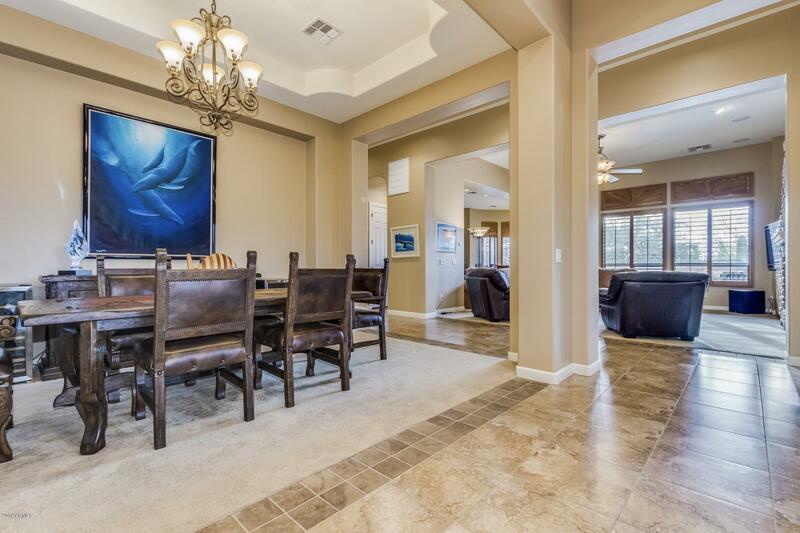 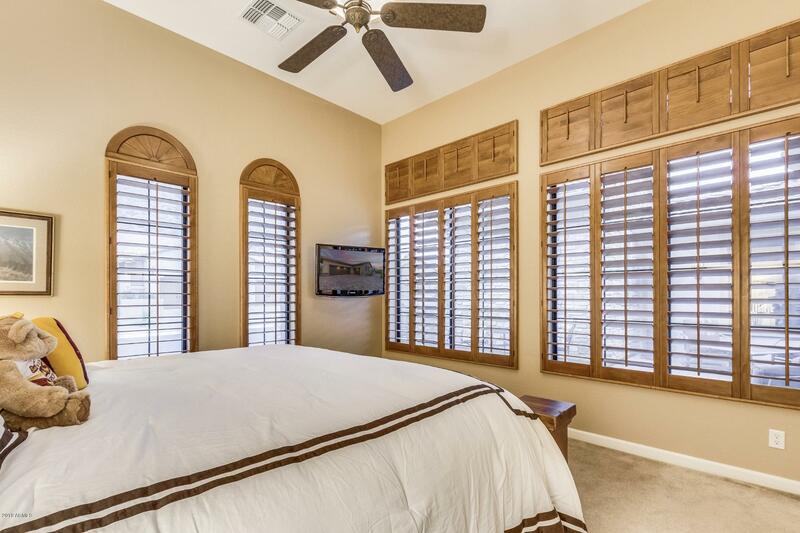 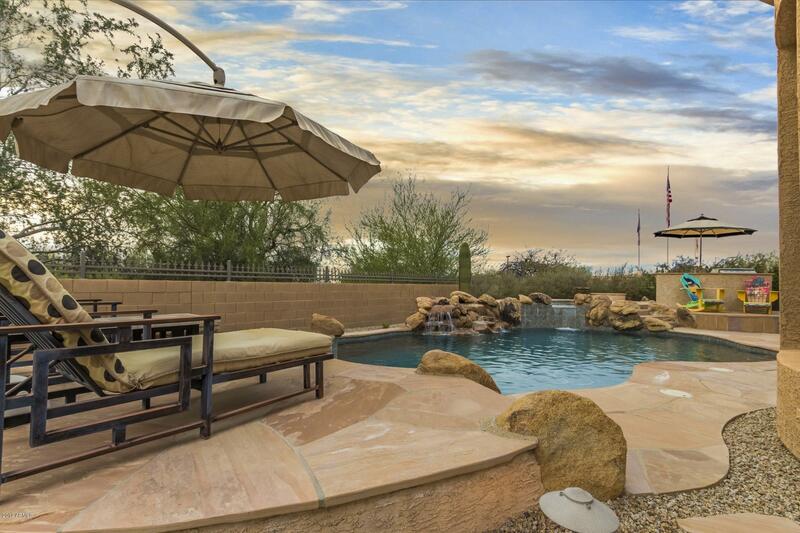 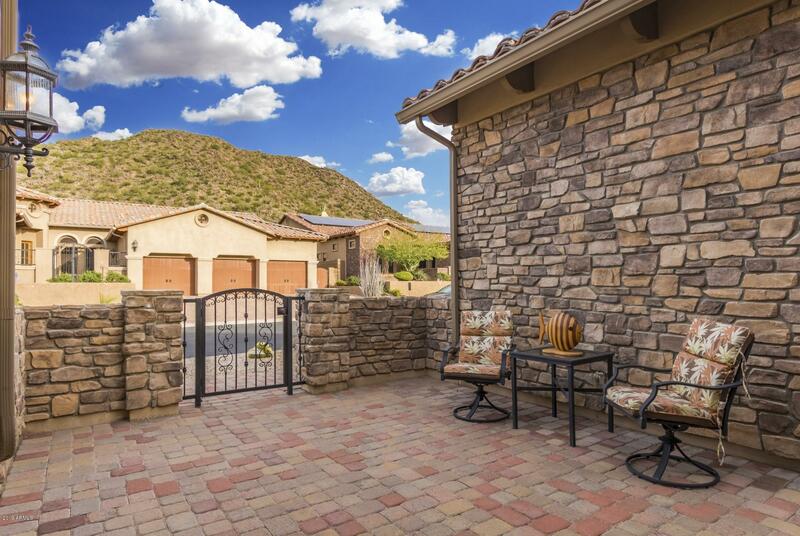 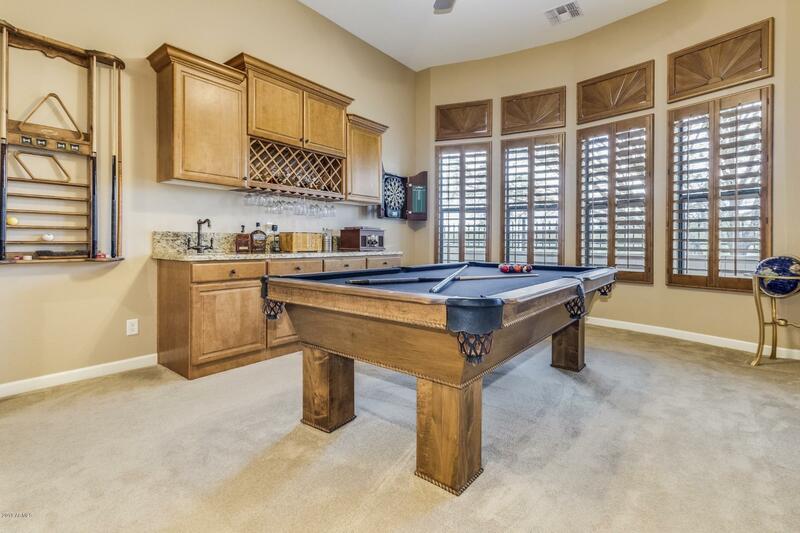 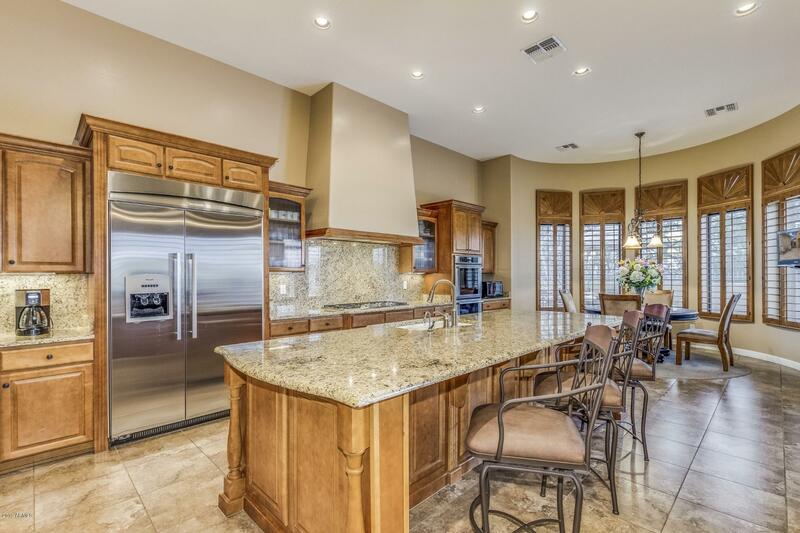 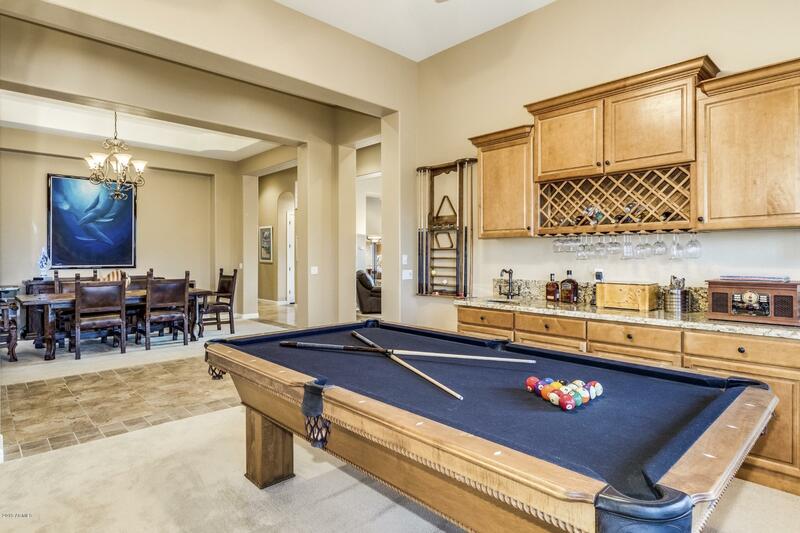 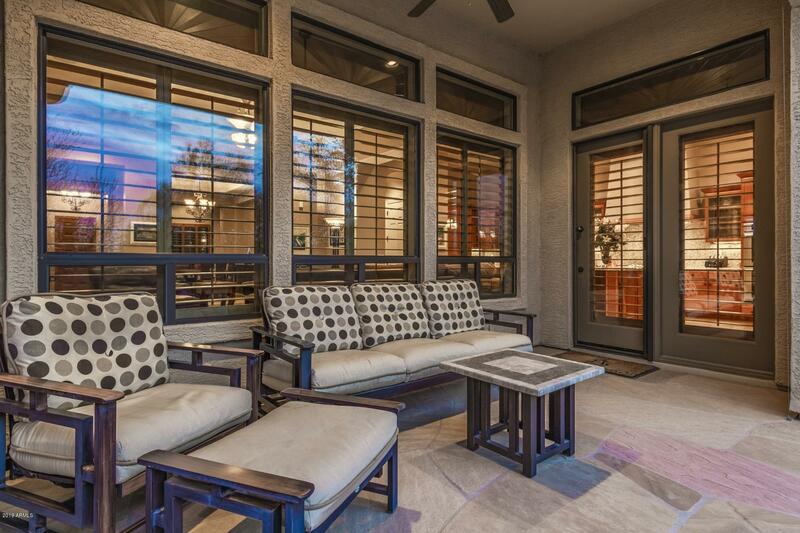 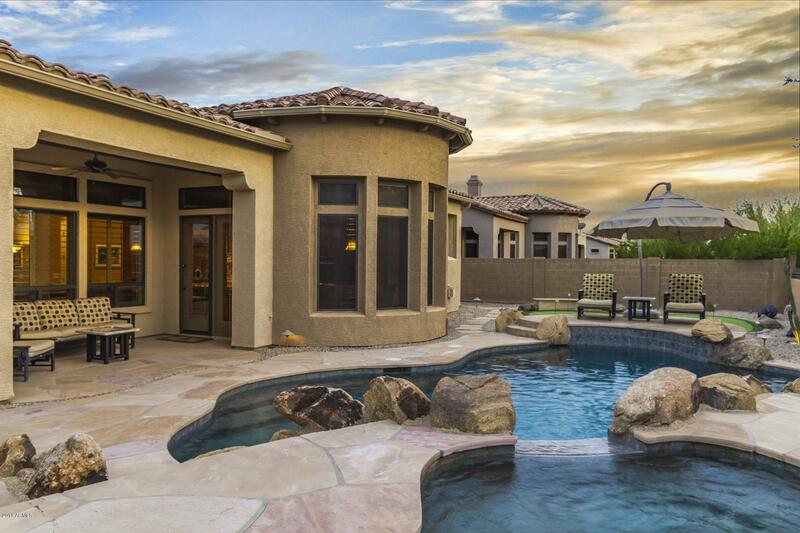 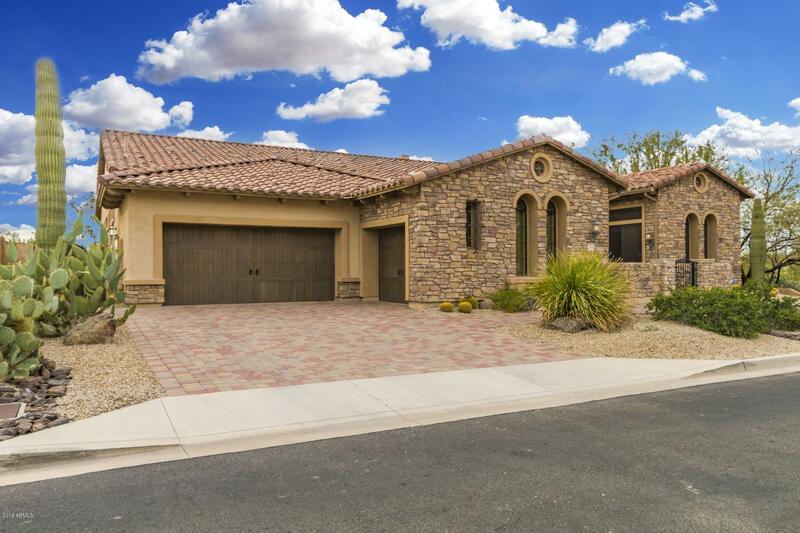 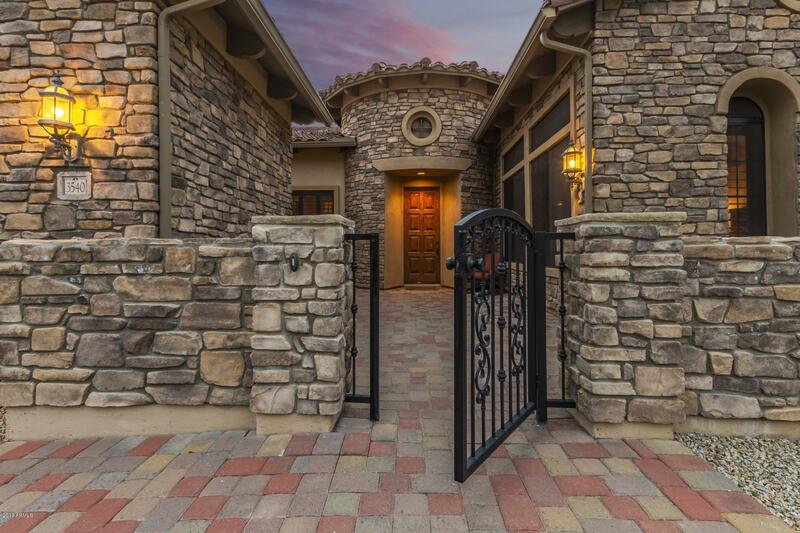 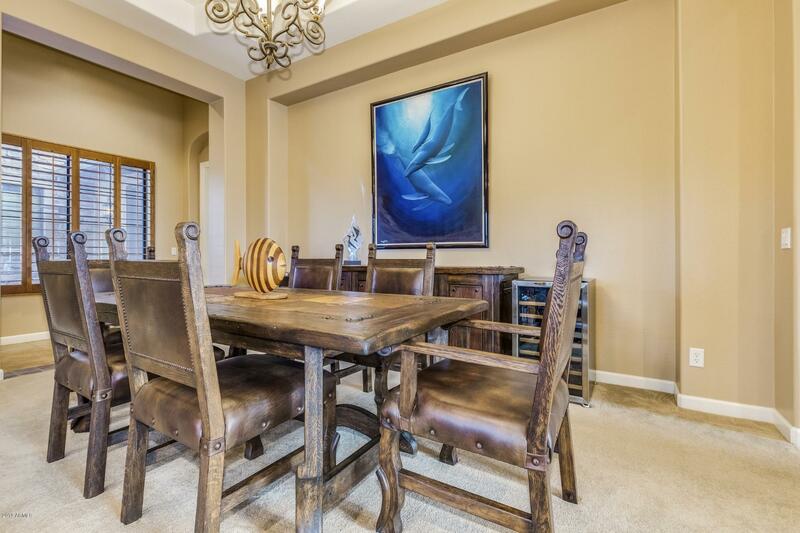 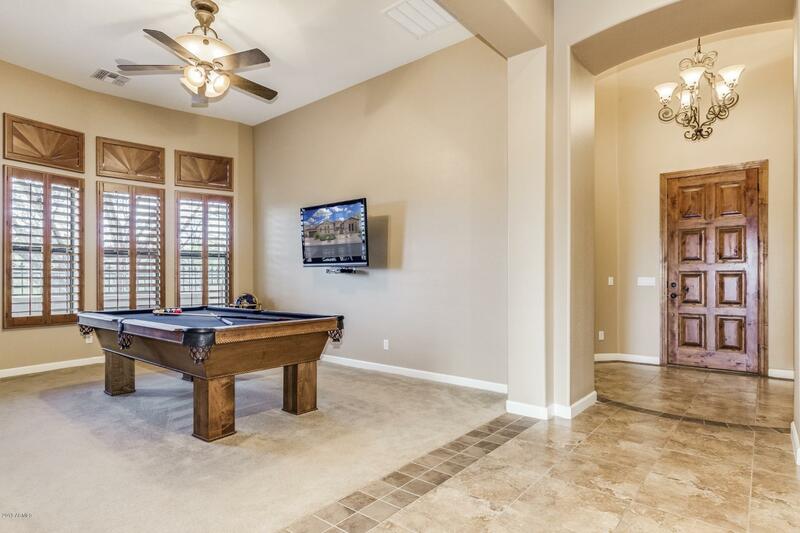 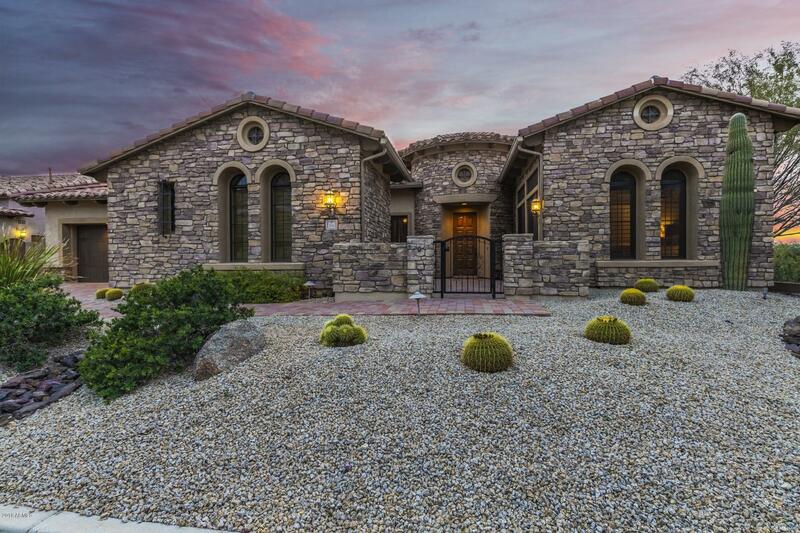 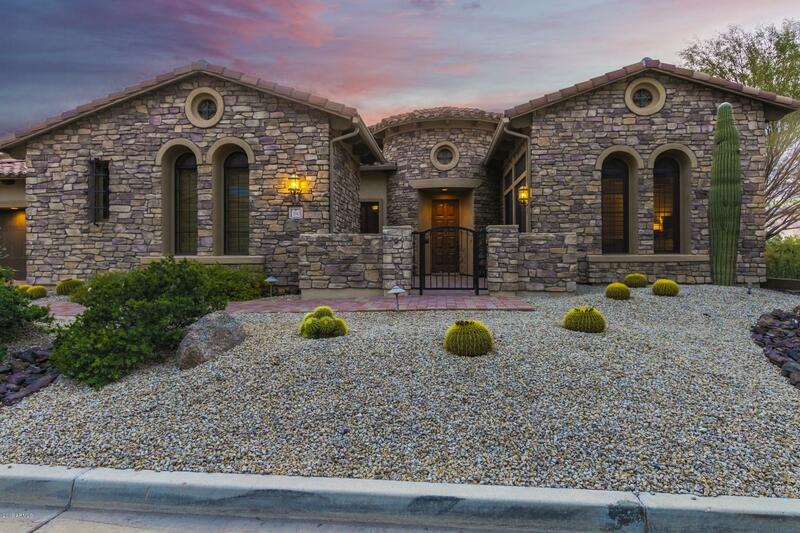 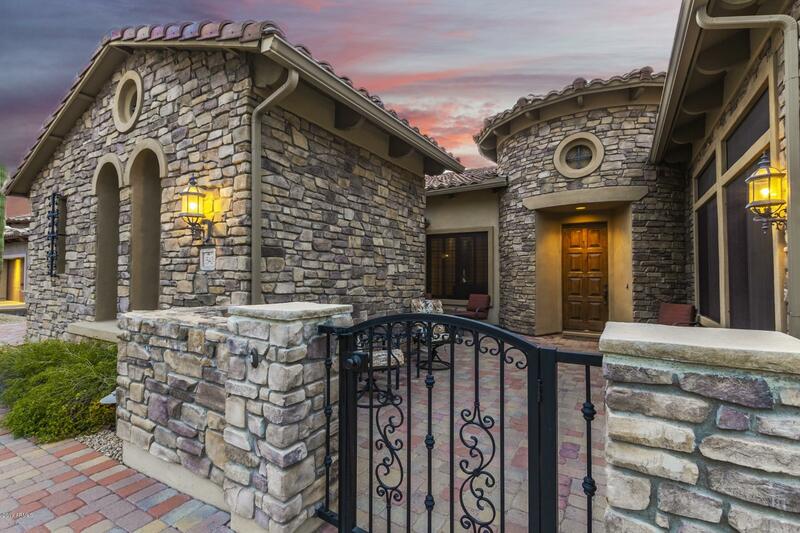 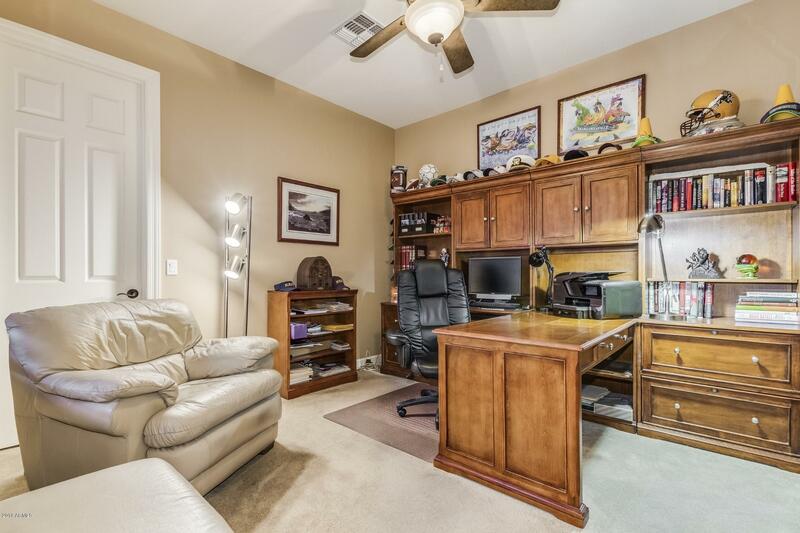 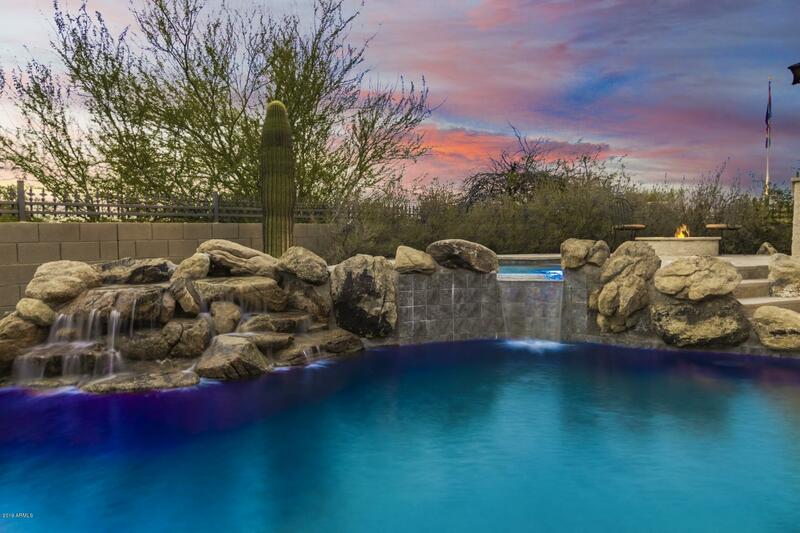 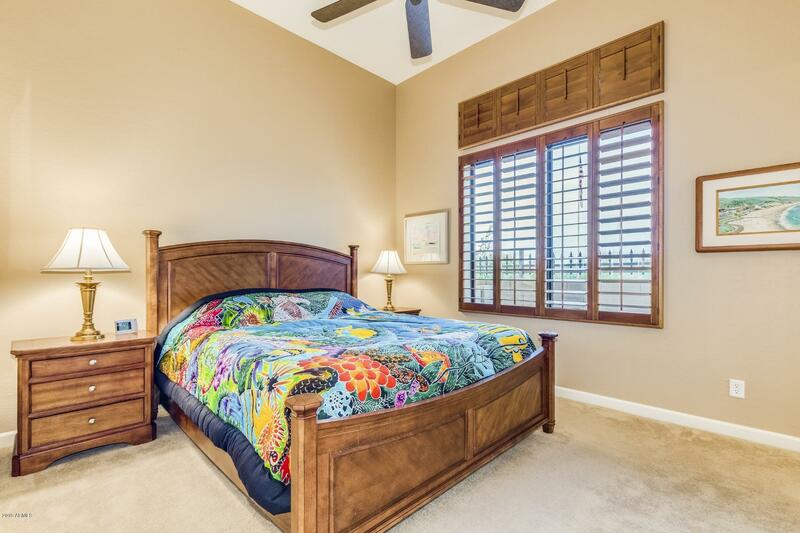 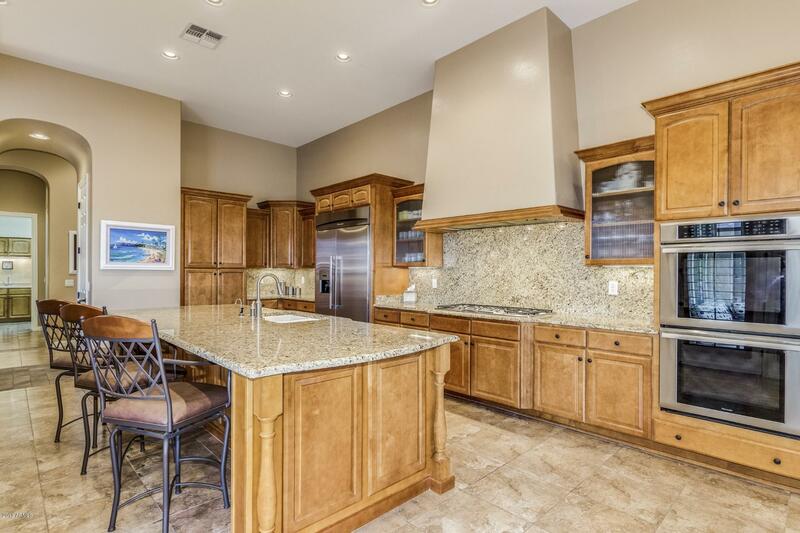 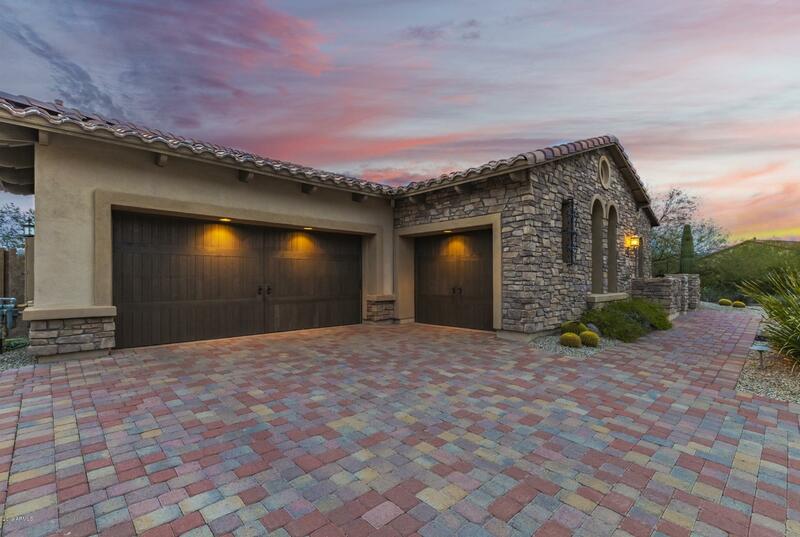 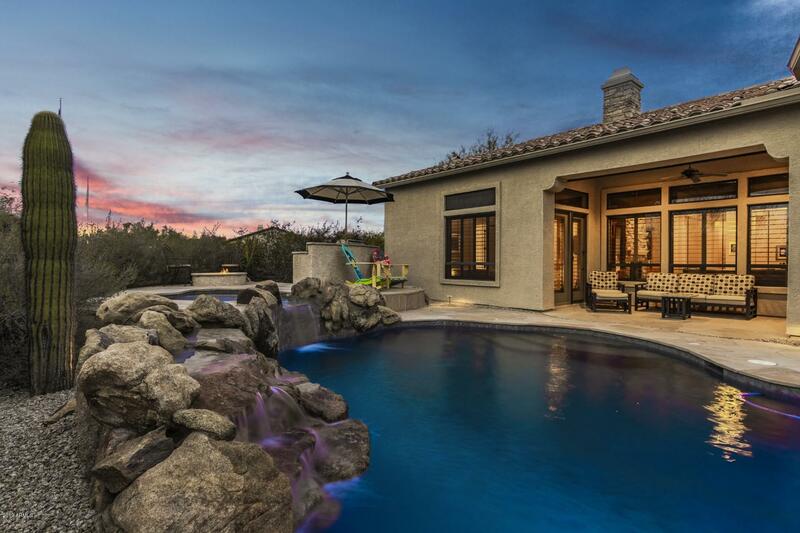 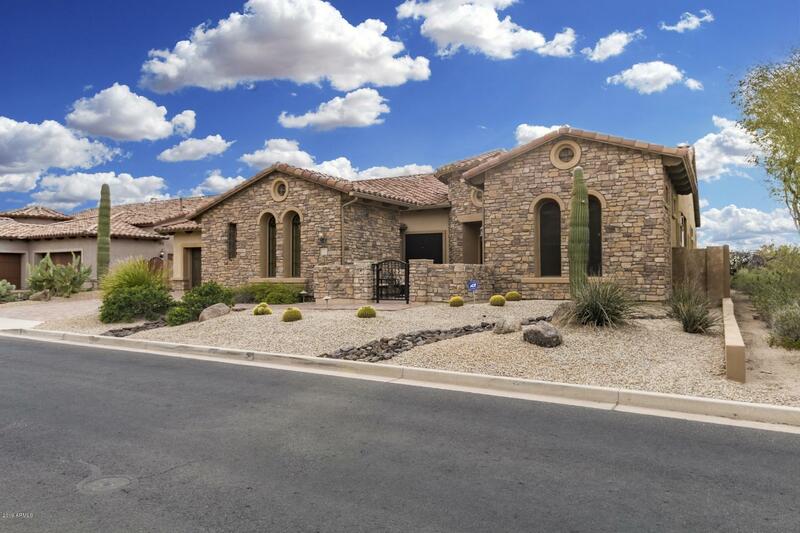 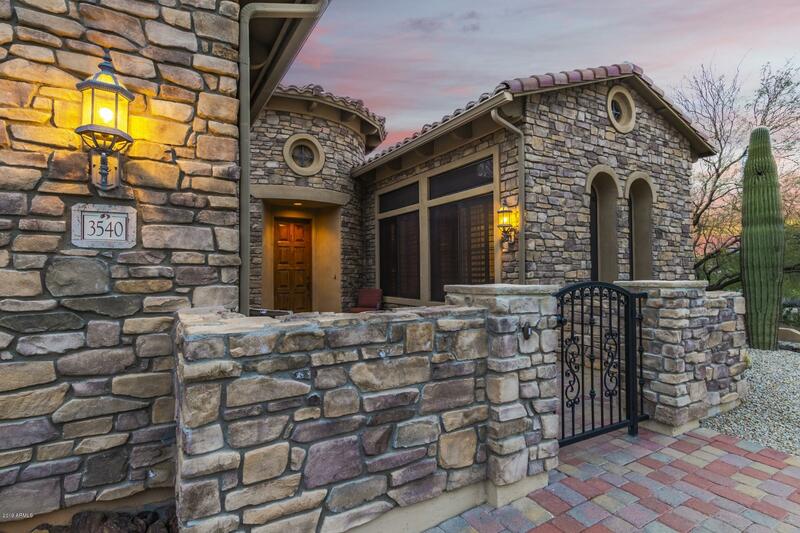 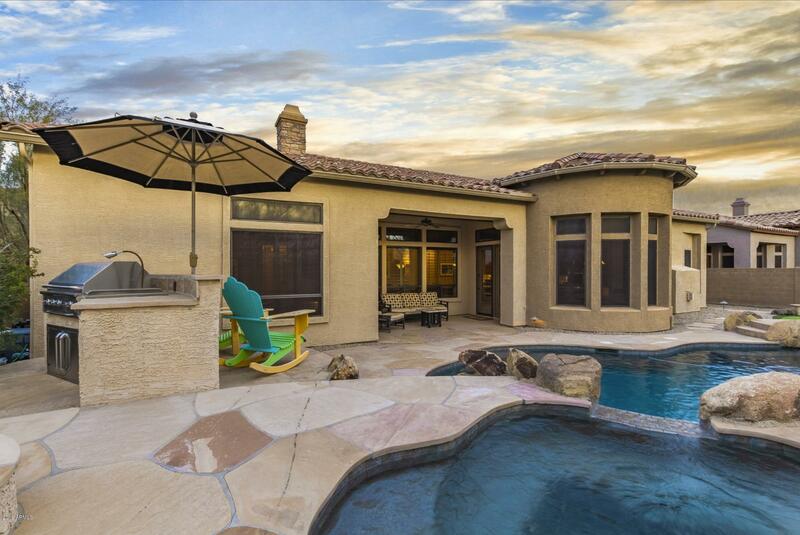 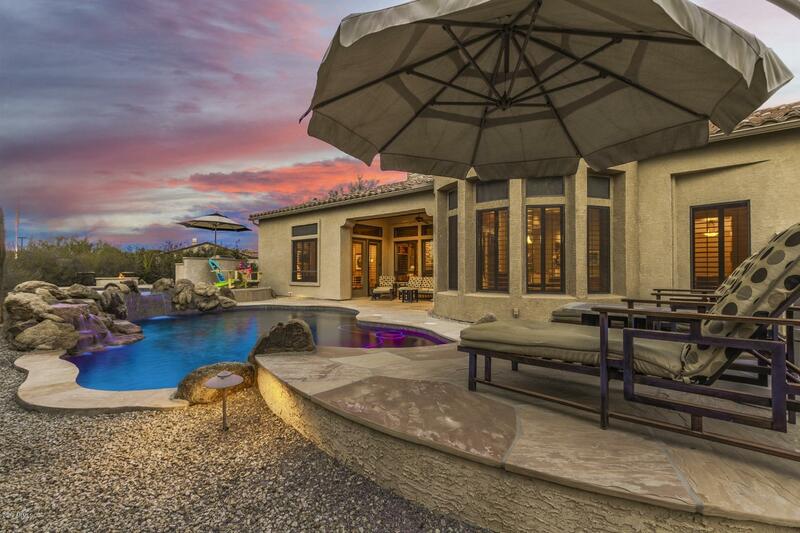 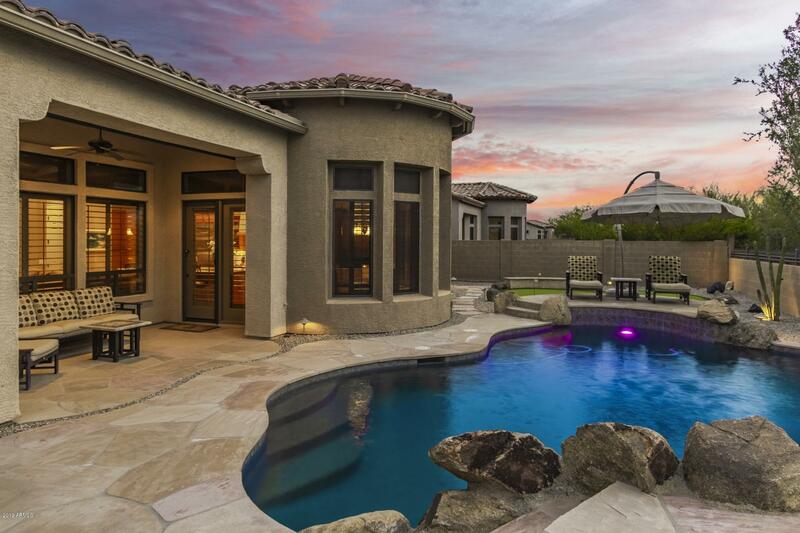 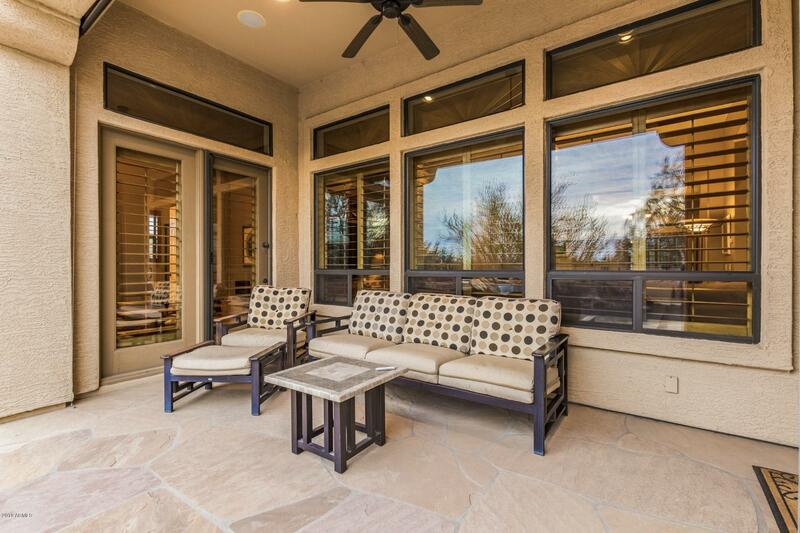 Functional FP featuring 5 bedrooms + GAME ROOM & 4.5 baths. 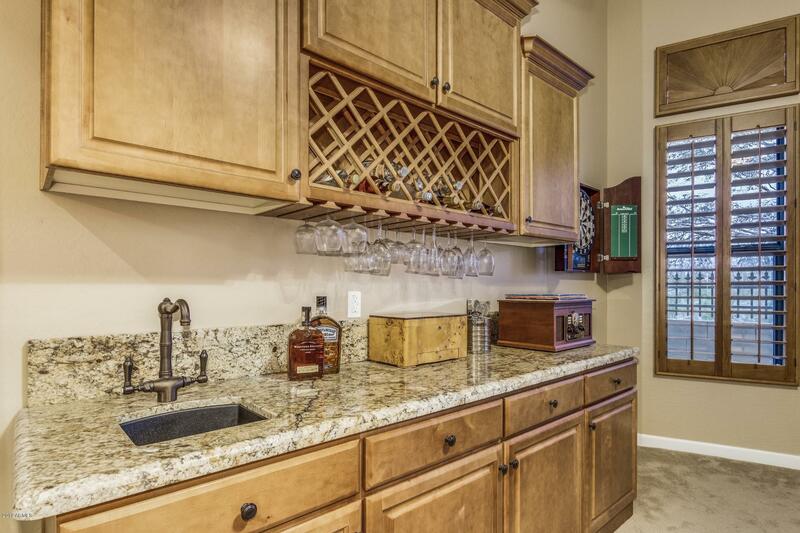 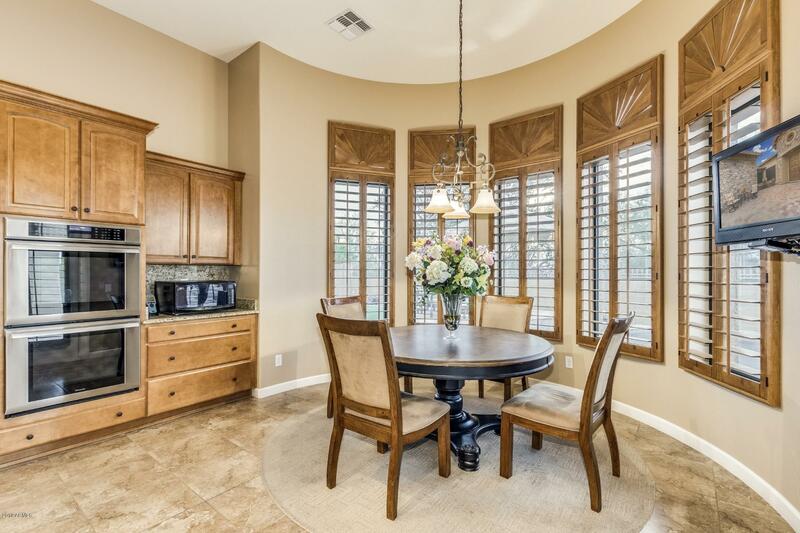 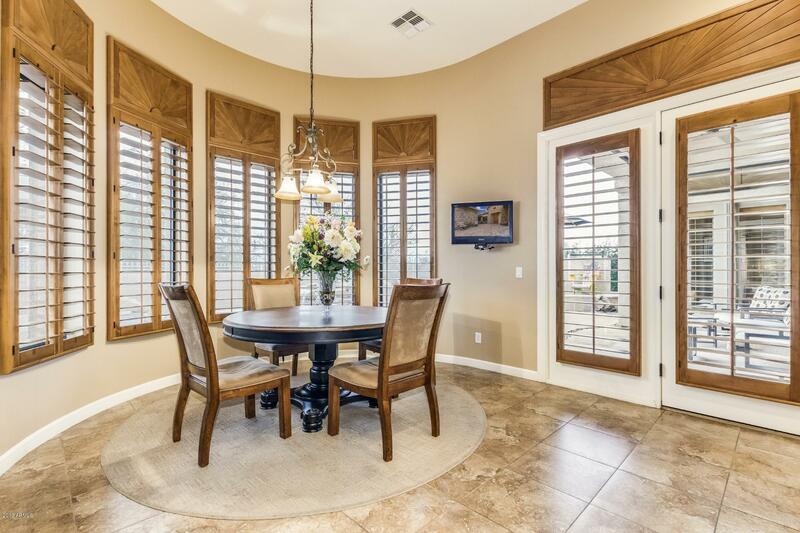 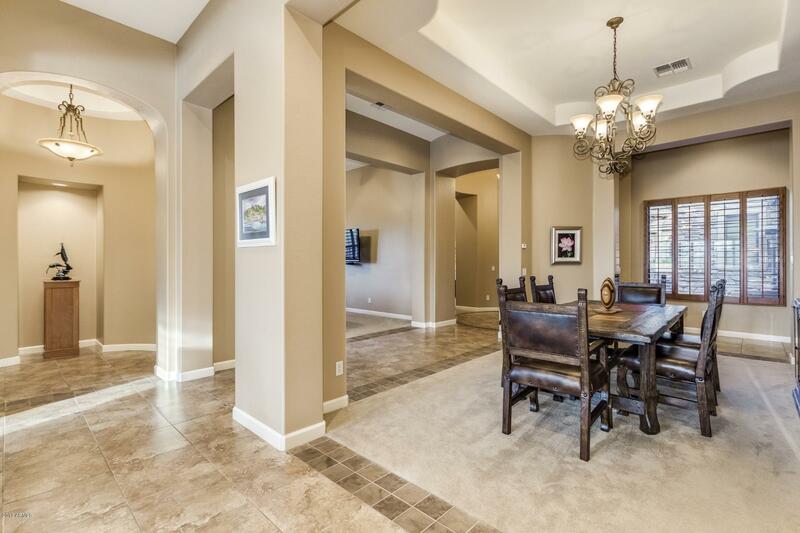 ENTERTAIN w/ the open kitchen/family room concept + a formal dining room. 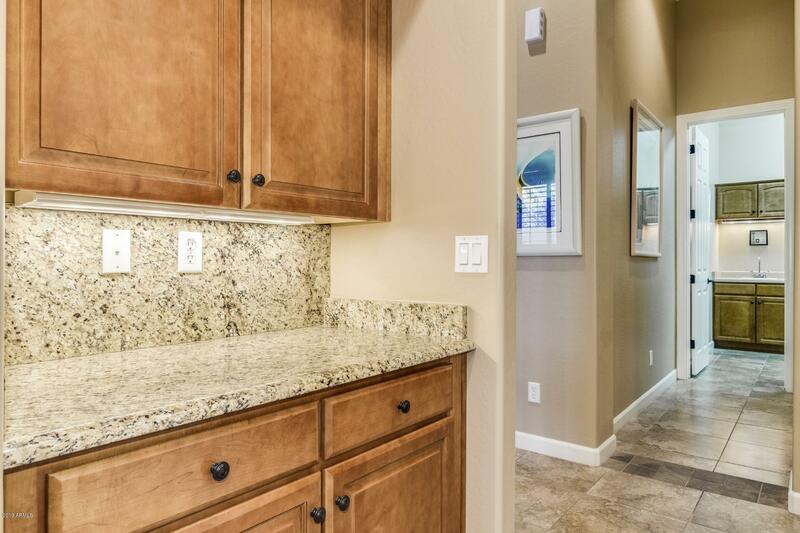 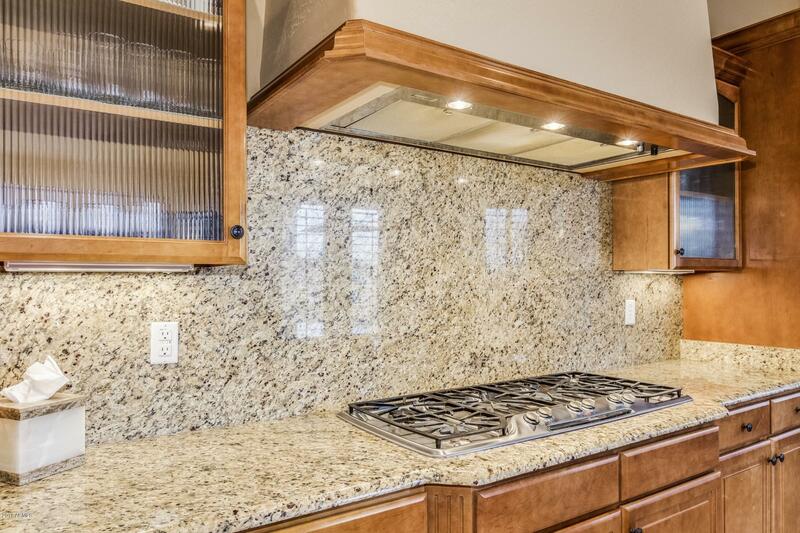 The expansive GOURMET kitchen features ample cabinet space, GRANITE counters, butler pantry, breakfast bar & STAINLESS appliances. 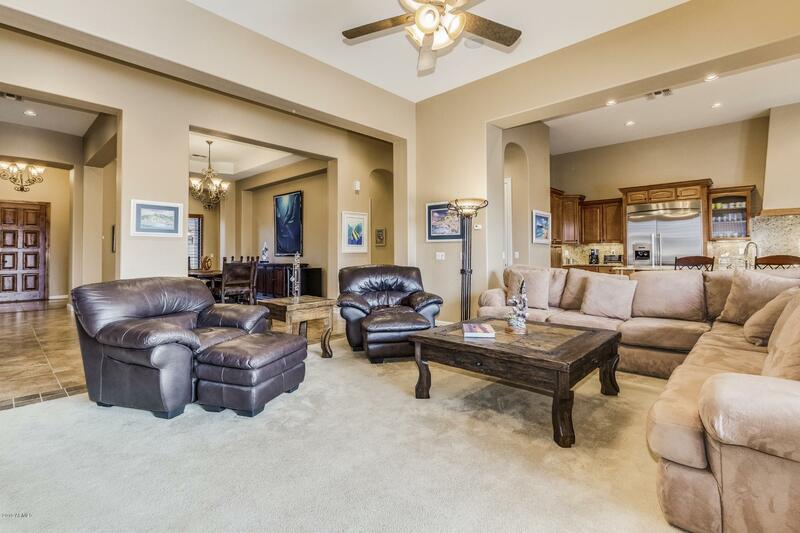 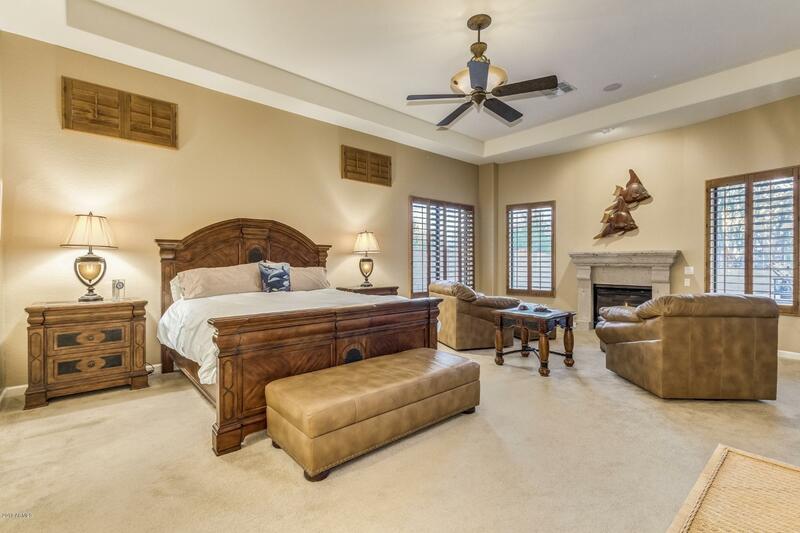 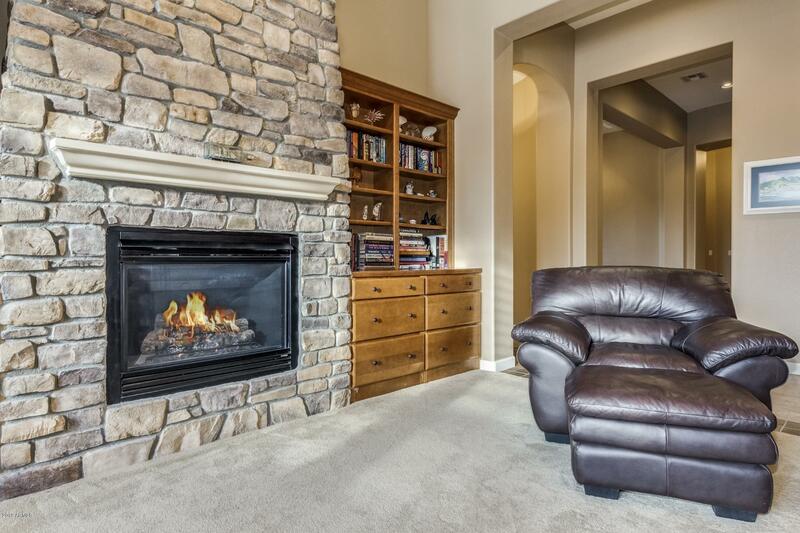 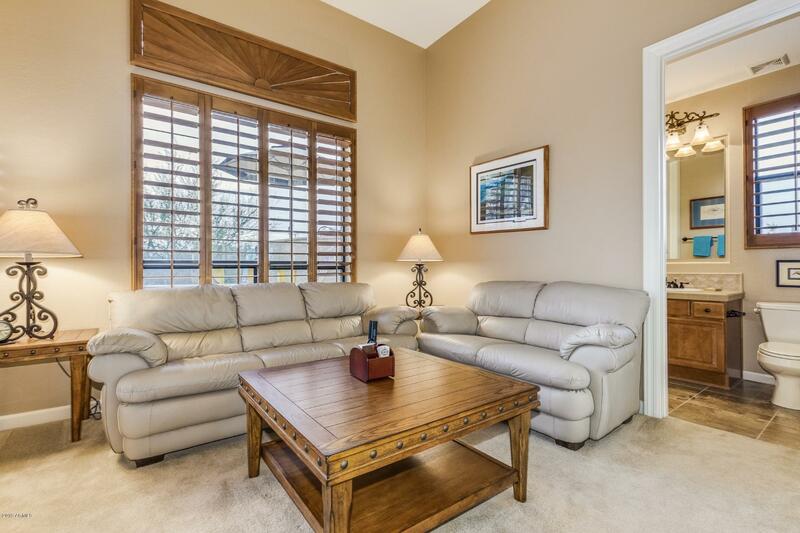 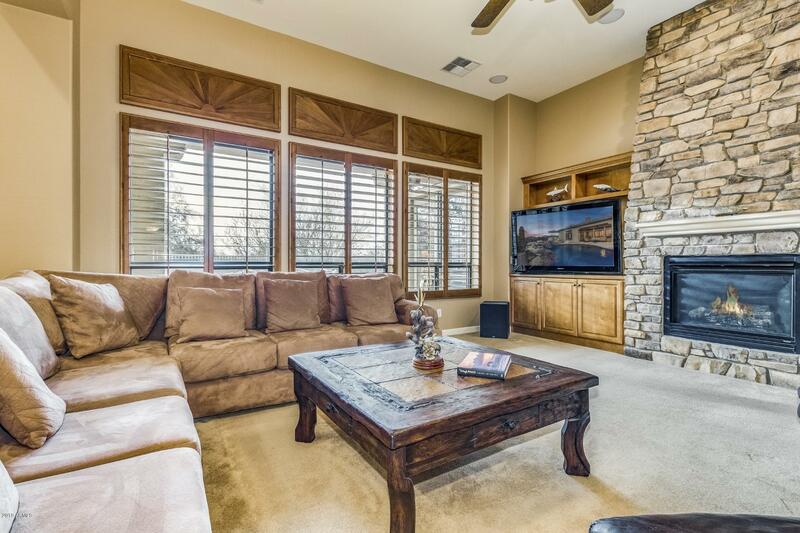 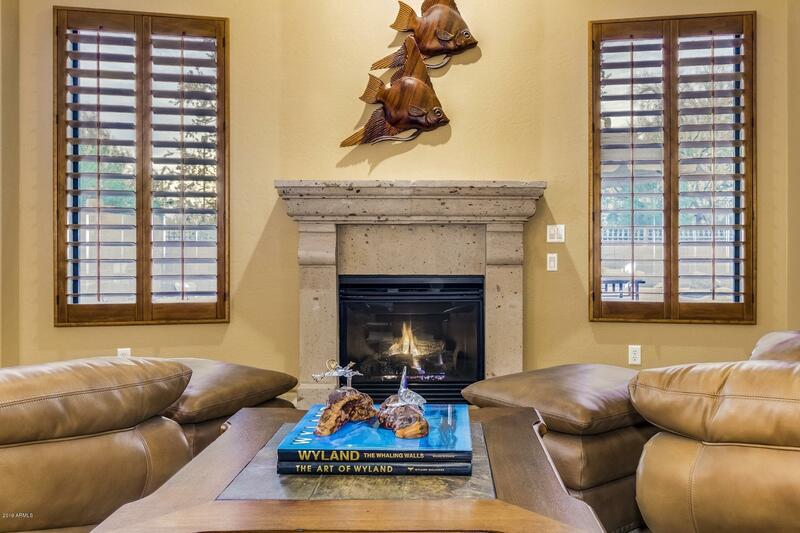 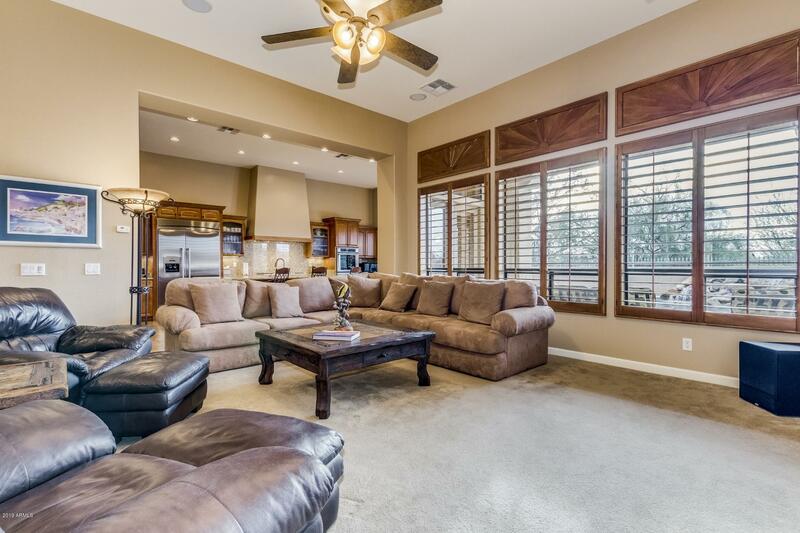 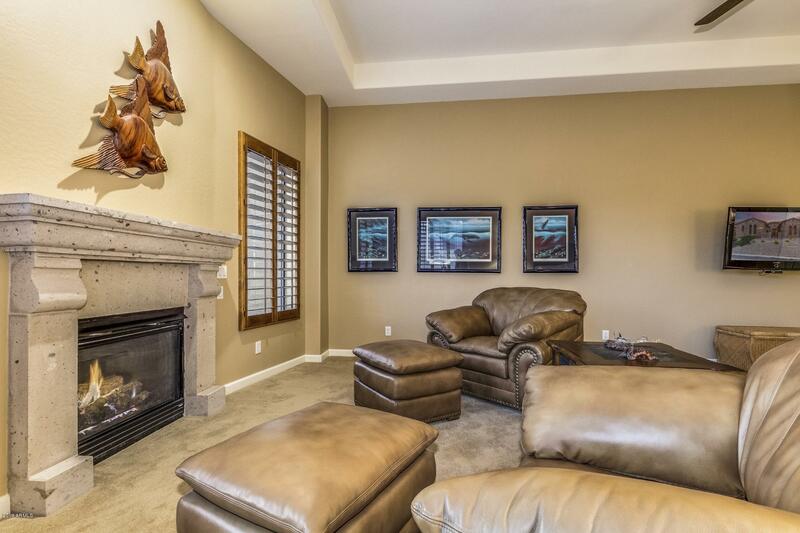 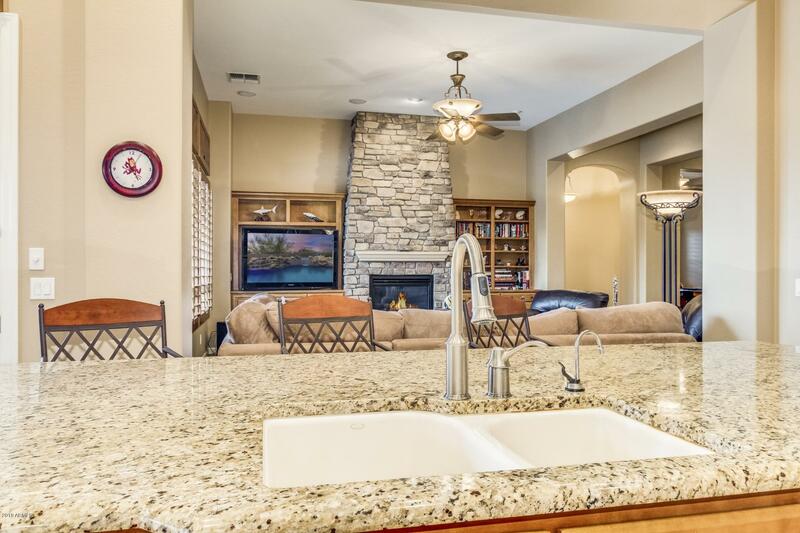 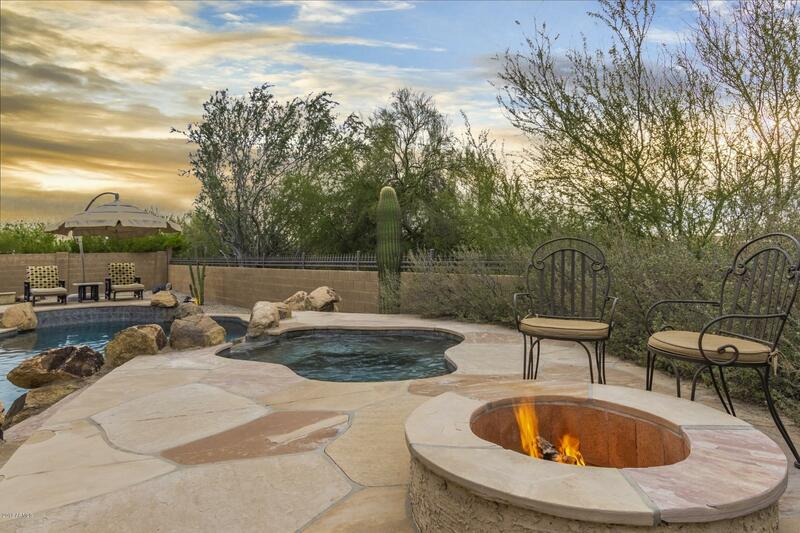 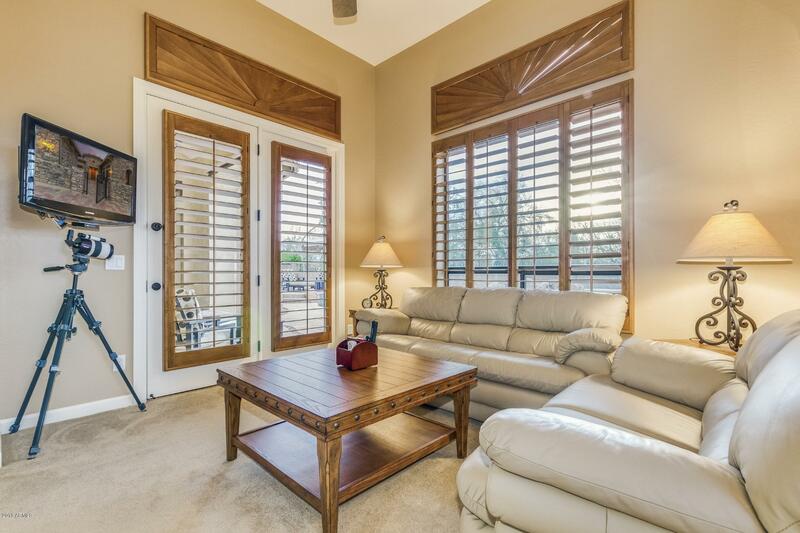 You'll love the gorgeous FIREPLACES in family room & master retreat. 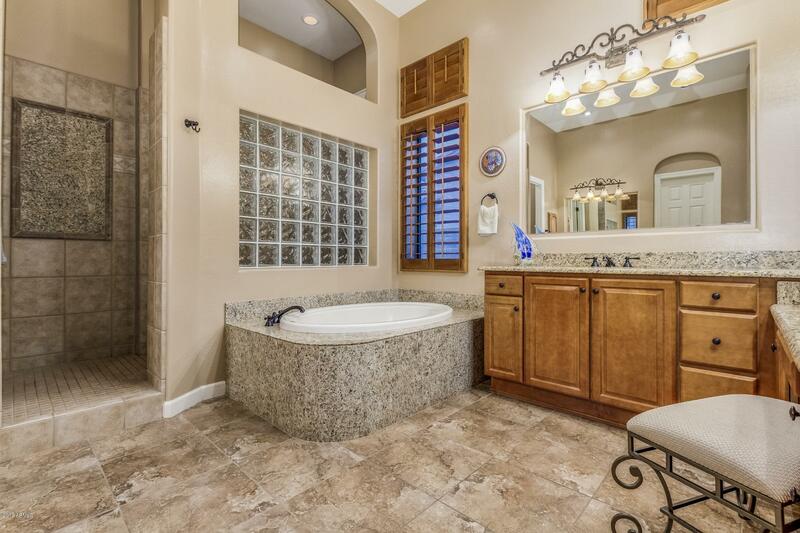 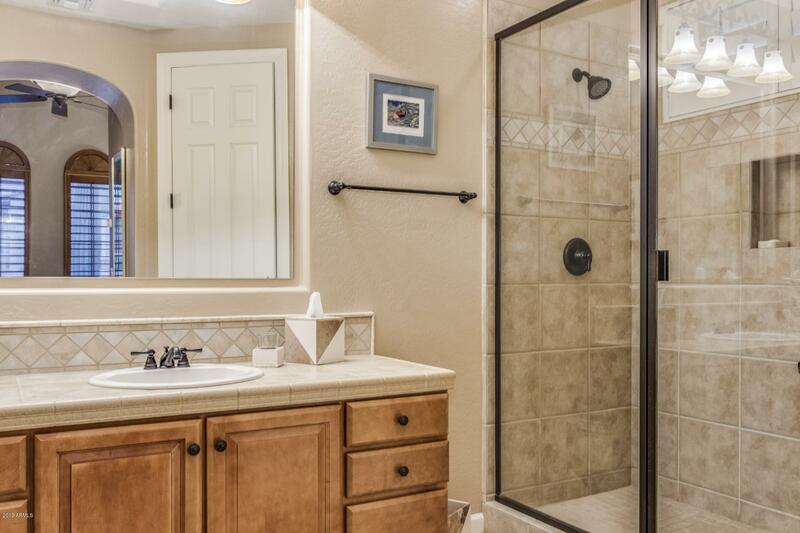 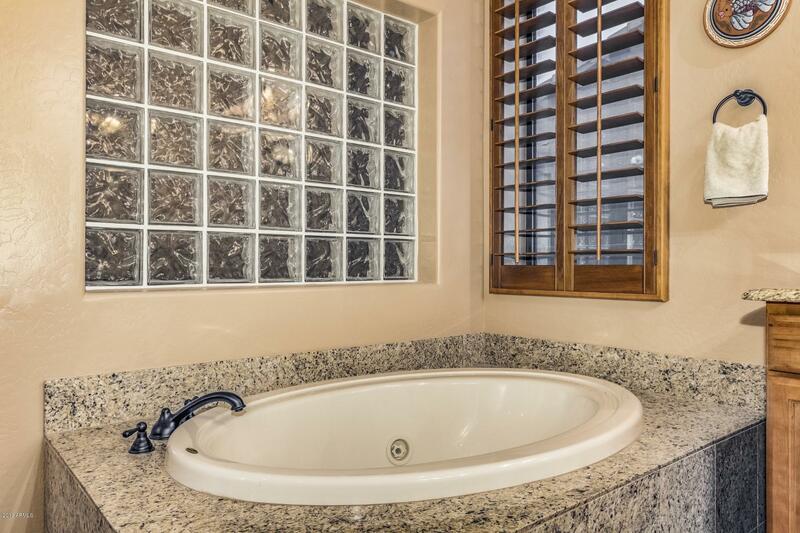 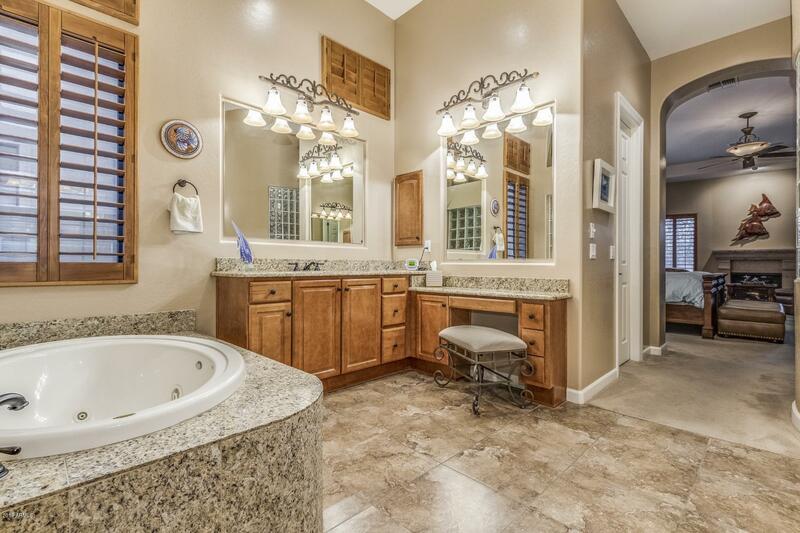 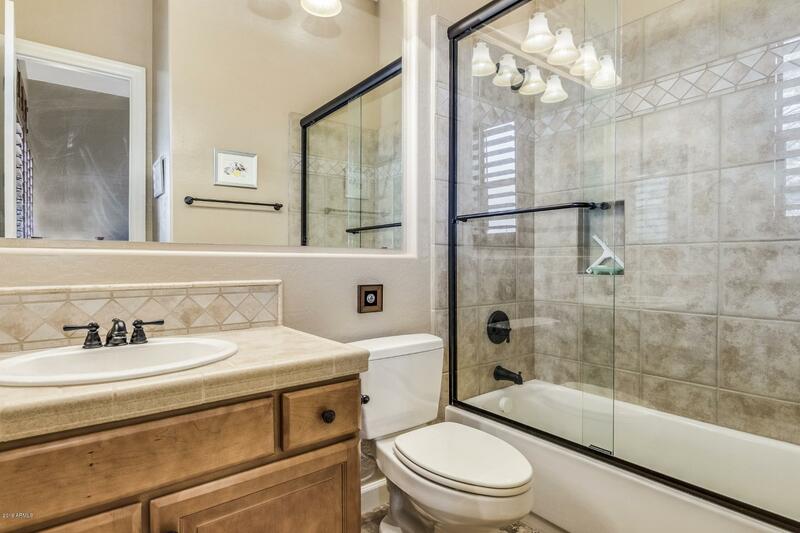 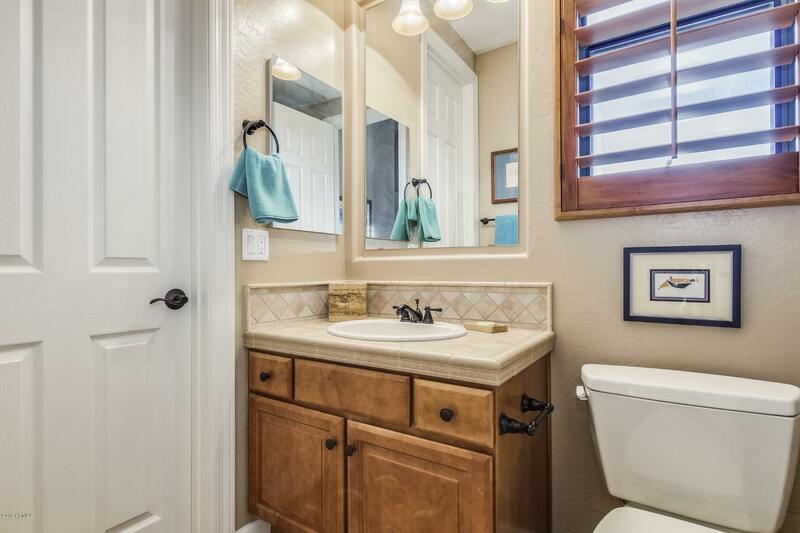 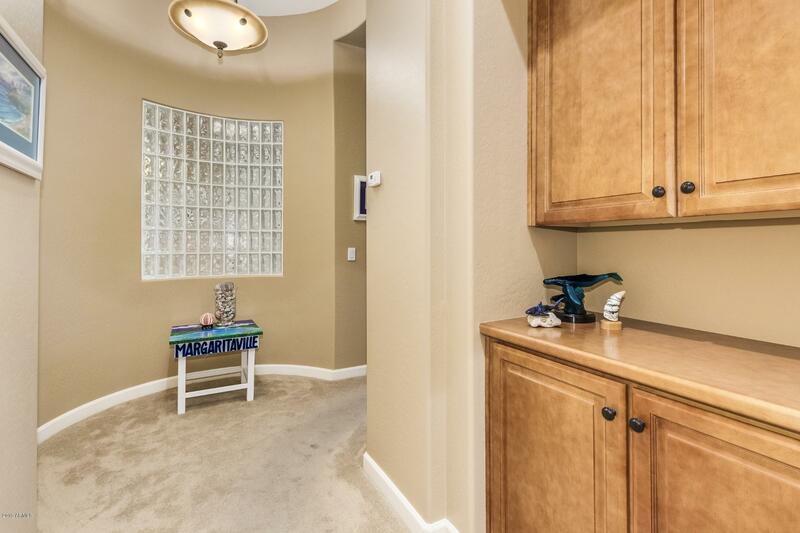 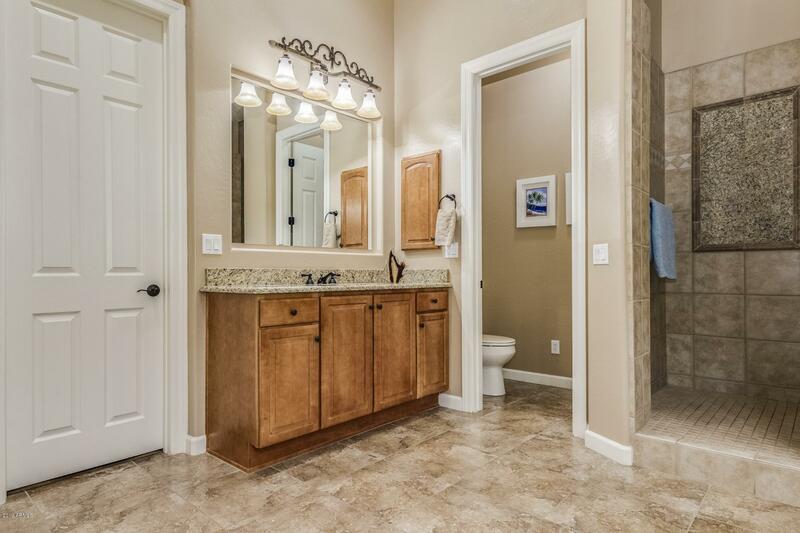 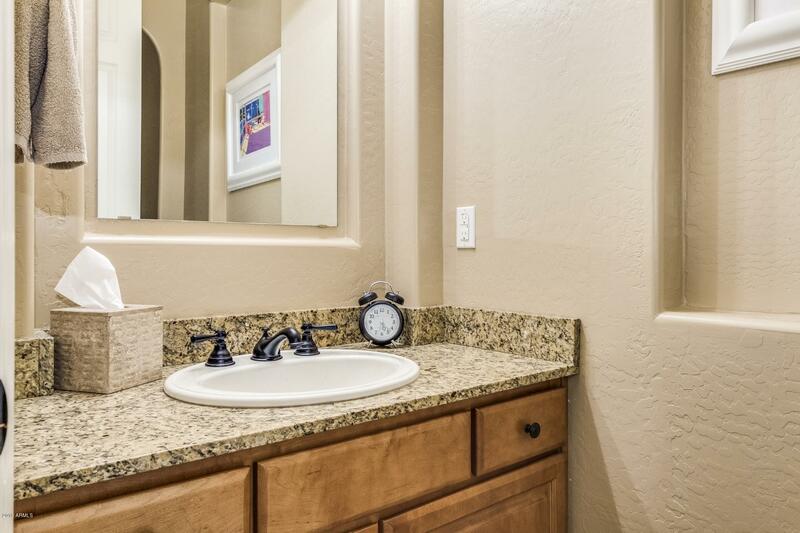 Owner's suite also offers separate shower/tub, dual vanities, his/hers walk in closets. 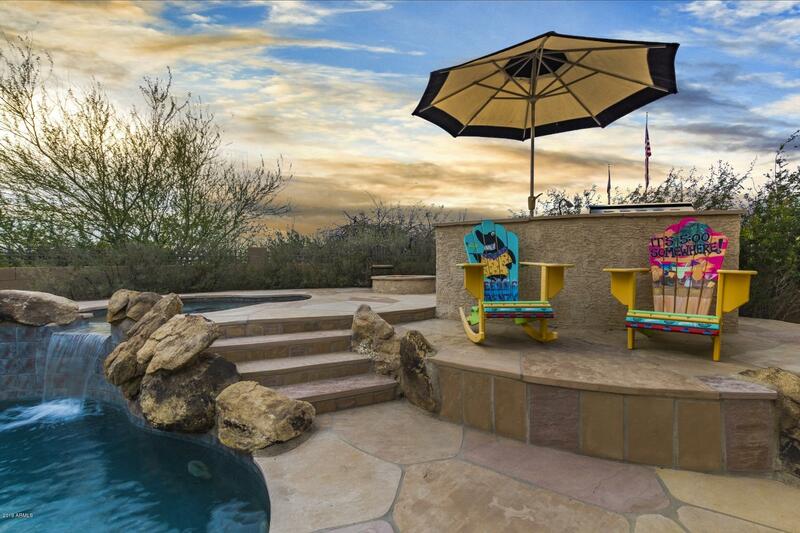 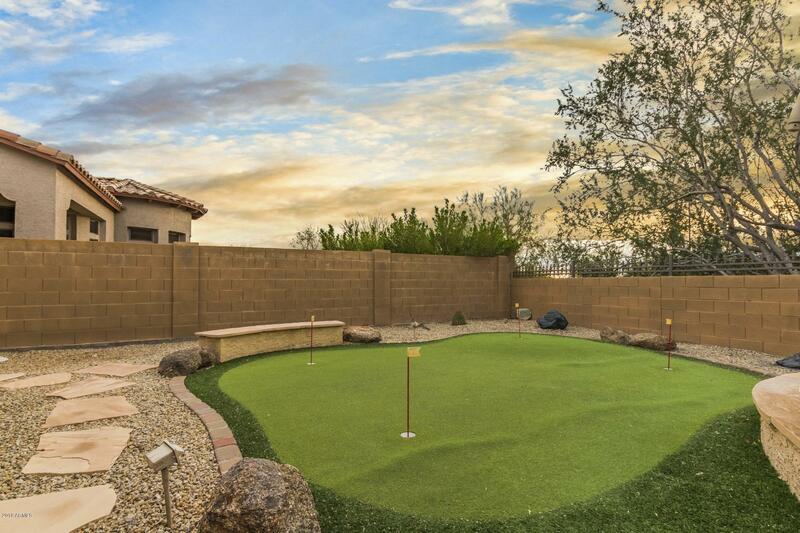 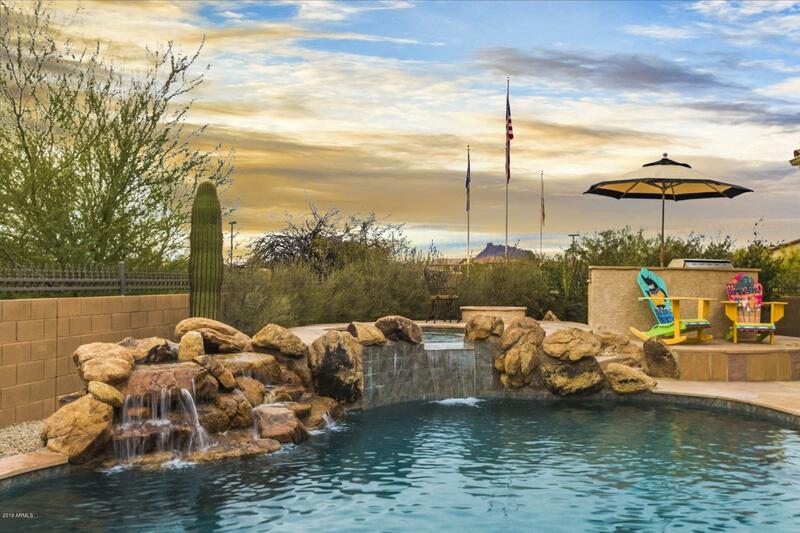 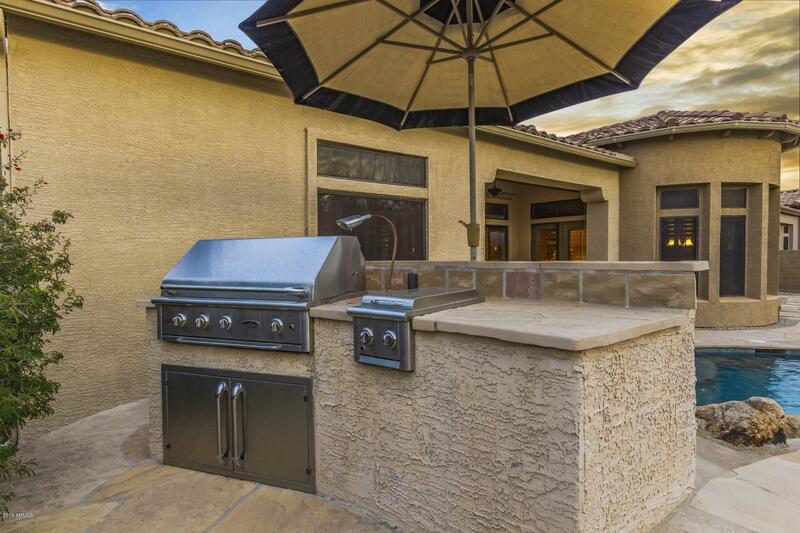 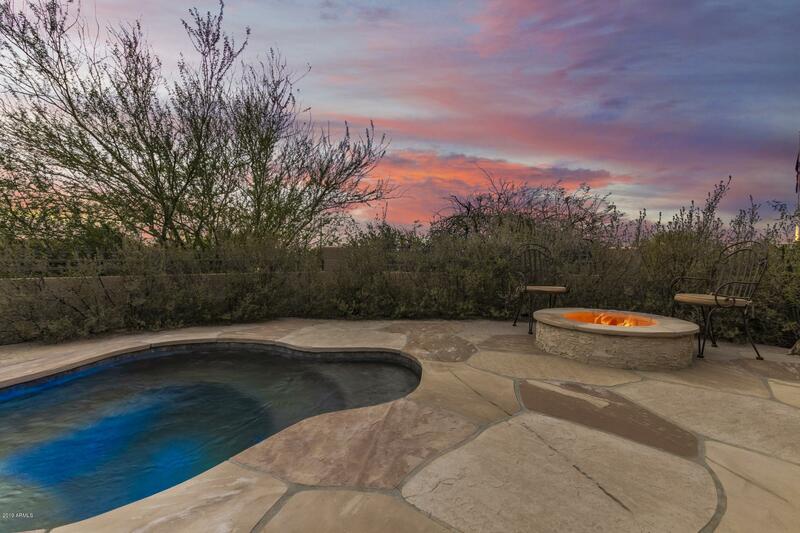 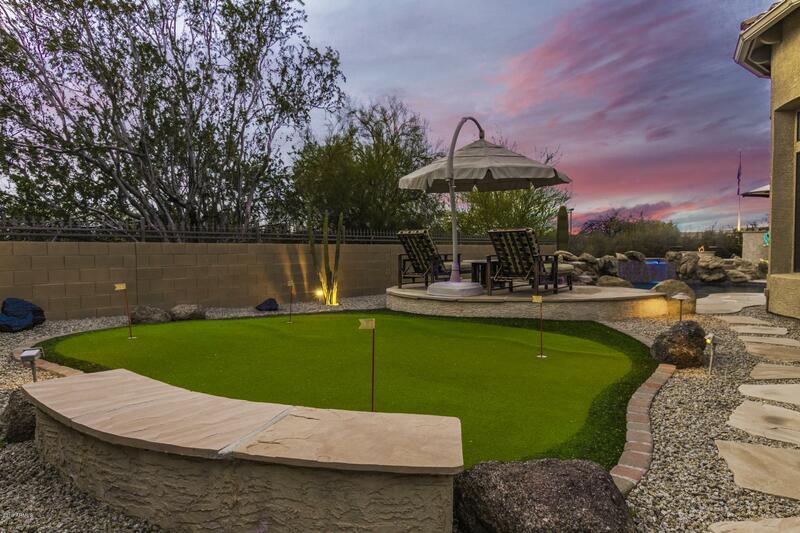 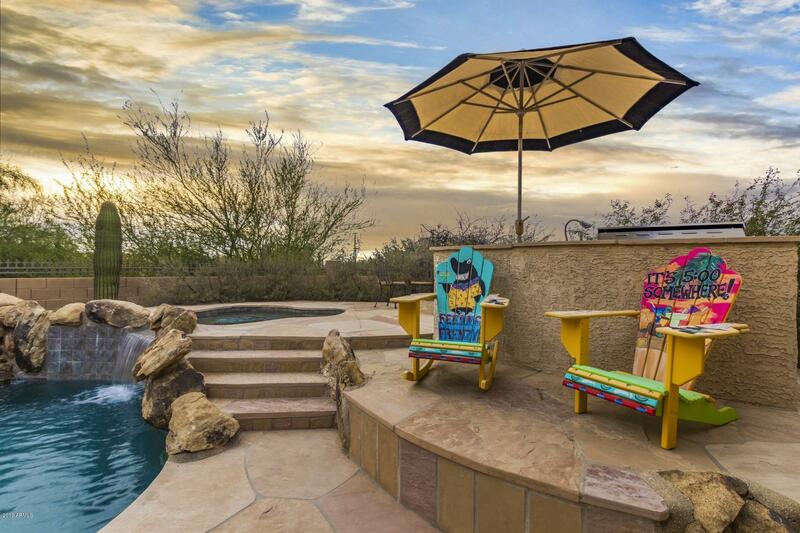 LOW MAINTENANCE backyard features play pool & spa, PRO GRADE b/in BBQ, FIRE PIT, PUTTING GREEN, large covered patio & gorgeous SUNSET views! 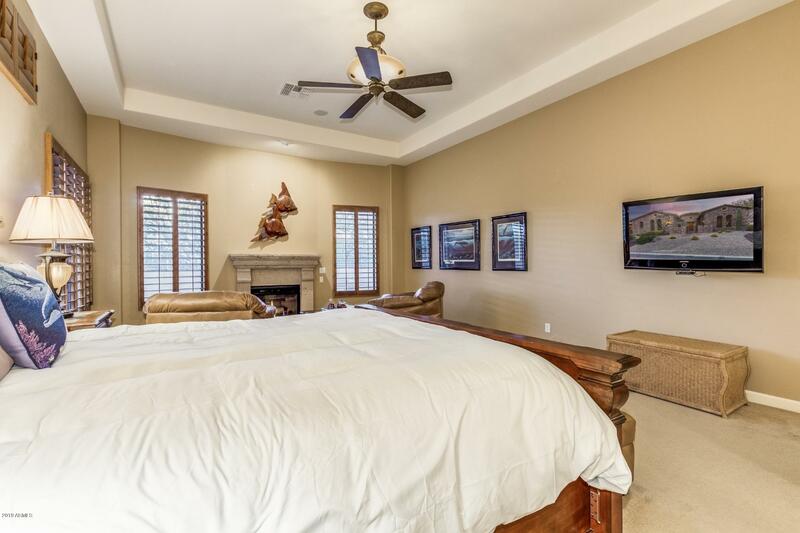 Mounted TV's throughout Convey!